The patient’s physician is responsible for directing his/her care while they are a patient here. As the coordinator of the patient’s treatment program, he/she should be consulted on any matters relating to his/her condition. The nursing staff includes a team of professional registered nurses, licensed practical nurses, and nurse assistants, who are on duty around the clock. Each unit in the hospital has its own nurse manager who coordinates that unit’s nursing care. Should you have questions or concerns, you may consult your nurse or the nurse manager. If they can’t resolve your concerns, the Director of Nursing will be happy to assist you and can be reached at 445-7719. MCMC is a smoke-free facility. Since studies have concluded that even second-hand smoke is a health hazard, there is no provision for smoking anywhere within 75′ of the building. There is, however, a designated smoking area outside in the northeast corner of the parking lot. Visitors must follow these smoking rules, as they are governed by New Mexico state law. MCMC is a smoke free facility. 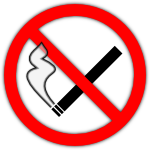 NO SMOKING is permitted anywhere on hospital premises, including all parking areas. We thank you for your cooperation as we improve the quality of the facility environment.